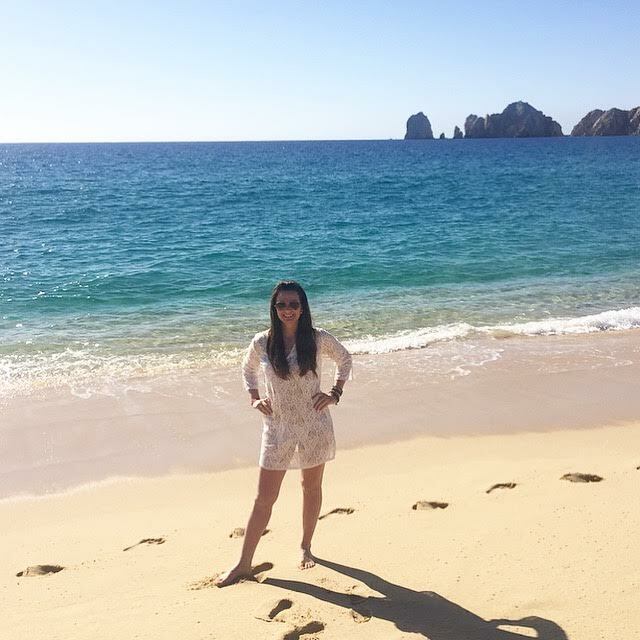 Cabo...oh Cabo...I love you and your colors! And your weather. And your food. Actually, there wasn't much not to love! The weather was perfection - low 80's and hardly any clouds! I mentioned this briefly before but we planned this trip really last minute about a month prior to going. 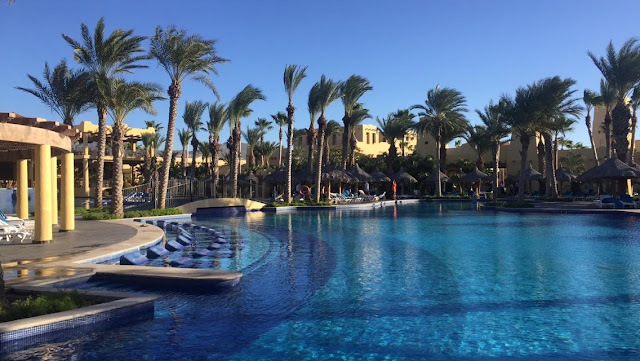 I didn't research as much as I normally do, but saw a great all-inclusive deal to stay at the Riu Sante Fe and we really wanted/needed a warm vaca, so we were sold pretty quickly! We had a great stay here - the staff was so accommodating, grounds and pools were super clean, the food and water (they used bottled) was never an issue, and the views were stunning! Seriously stunning! We knew going into it that it wasn't a 5-star resort, but overall it was an awesome place to stay for the price. 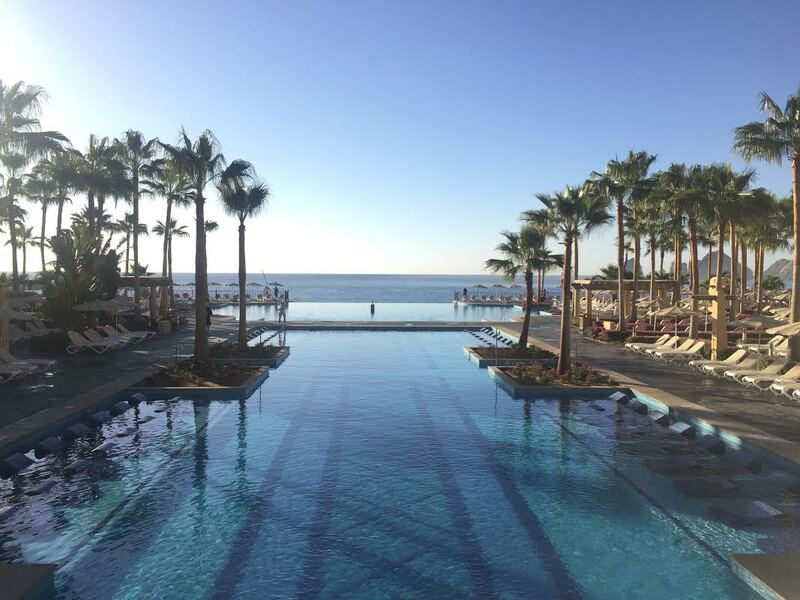 They had a lounge pool which was perfect for relaxing, and also a beautiful infinity edge pool where they had music playing, water sports being played, and a swim-up bar. We loved both of them! My only complaint during our stay is that you have to make reservations for dinner early (as in like the minute you arrive) because they book up very quickly. We had a few nights that we couldn't get a reservation where we really wanted to eat, but the night of we just walked up and asked if they had openings and they got us in, which was really nice! There is a sister resort, Riu Palace, right next door that we didn't know about when we booked that is really nice as well! One afternoon we decided to go tour it and both agreed that while maybe the rooms might be a step up, the views were not as good as the Sante Fe. But hey, you can't go wrong with either! 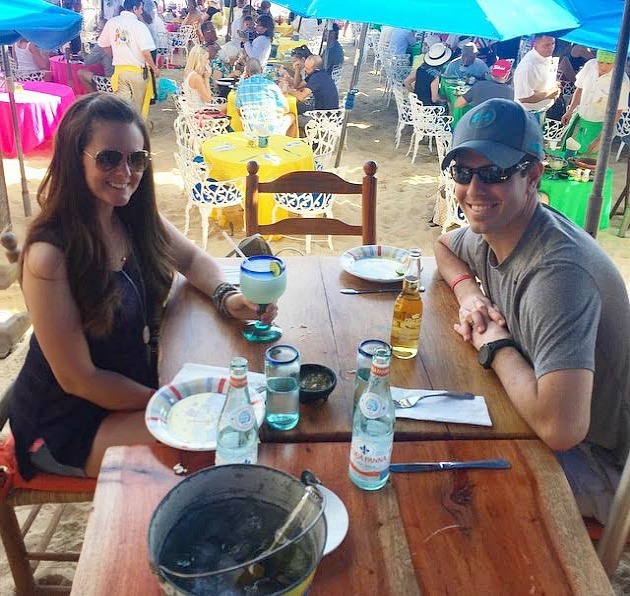 There were a few days and nights we chose to venture out into the city and not eat at our resort, which I highly recommend doing if you go the all-inclusive route. Hello, authentic Mexican! The two winners were The Office and Hacienda Cocina. Both are right on the water with amazing views and delicious food! Hacienda is actually a resort (residences-but you can still eat lunch/dinner there even if you're not staying there) and I'm currently trying to convince Billy that we MUST buy one, ha. The grounds are truly breathtaking! I kept telling Billy I could have sat at our table for HOURS! During our lunch at The Office, we basically ordered the entire menu (when in Mexico, right?!) and they had a little band come up to sing and play music at our table - it totally made the experience! I'm a sucker for things like that. 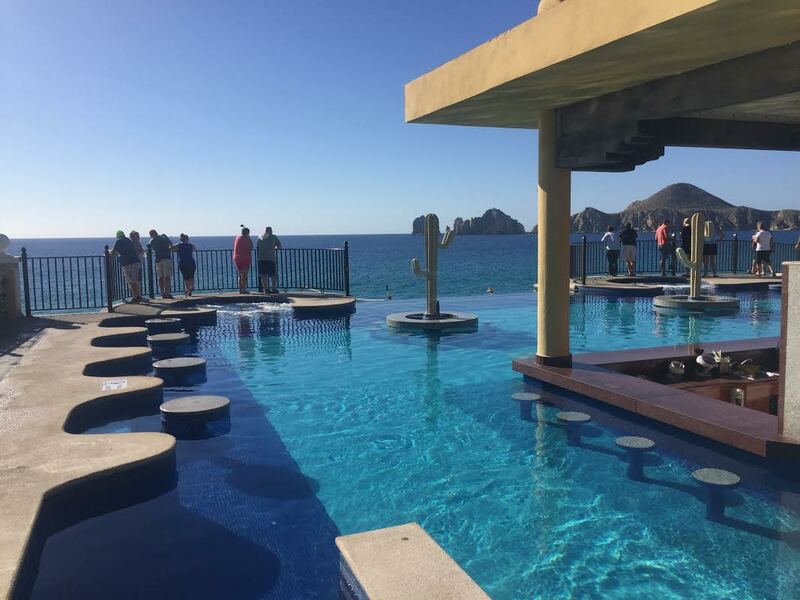 If you visit Cabo, I'd also recommend looking into the tours they have available, however don't book them through your resort (the travel companies they have in the lobby) as they are a huge ripoff! Luckily, I had heard about this from you guys before we went so we didn't book through them. You can just book them when you get there from the guys that walk around on the beach ("you need a water taxi? glass bottom boat?") or by walking/taking a taxi or shuttle into the city. There are so many fun activities available like whale watching, snorkeling, parasailing, and a glass bottom boat tour. We took a glass bottom boat tour (for only $10/person) out to the famous Arch and Lovers Beach! It was one of the highlights of our trip...so, so beautiful and you could see so many fish! The water was unreal. There's also a ton of little shops in the city, so we just walked around after our boat tour and shopped til we I dropped! One thing I did want to mention that I had some questions about were the mosquitoes. A few weeks before going, I had heard about the Zika virus and did a ton of research on it. By nature, I'm a worrisome person so trust me when I say I took it very seriously! I made many calls to our resort and talked to my doctor (who didn't tell me not to go-just recommended a certain bug spray.) Our resort also told us that they spray daily for them. 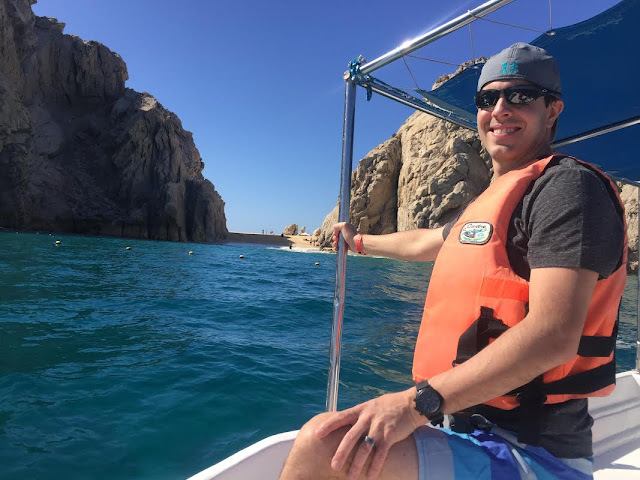 We went back and forth for a while about going or not, but ultimately got reassurance from the resort, friends who visit Cabo often, and guests who stayed there that week prior that they were not a problem in the specific area we were staying in. In fact, all of the people who stayed at our resort recently (I talked to 3 or 4 different people about it) said they never once saw a mosquito. This held up to be true for us because we never saw one! I still wore my bug spray to be safe, but there were no issues! 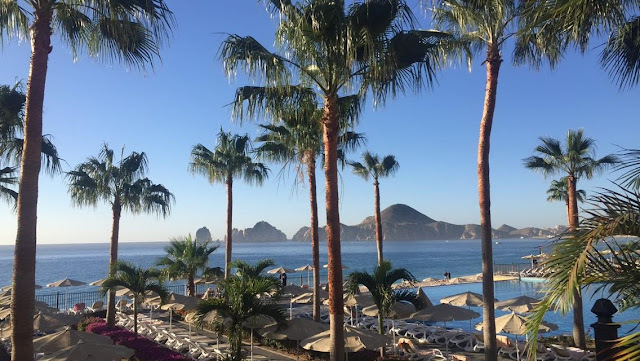 If we were going to a different part of Mexico, we would have cancelled as it's much more tropical and humid in other areas, than it is in Cabo. If you have any other questions about our trip, feel free to email me! Hi Katie! Can you give me the name of the bug spay you used?? Thank you!! I used Cutter Backwoods with 25% DEET and also Skin So Soft's Bug Guard. I'm not sure where you're going, but I would check with your doctor first and the resort before deciding to travel! We stayed @ the Riu Palace for our honeymoon in CAbo. We can not wait to go back. Love Cabo. I love seeing all your pictures. Glad you guys had a great time!!! So gorgeous, I love all the bright tropical colors!! 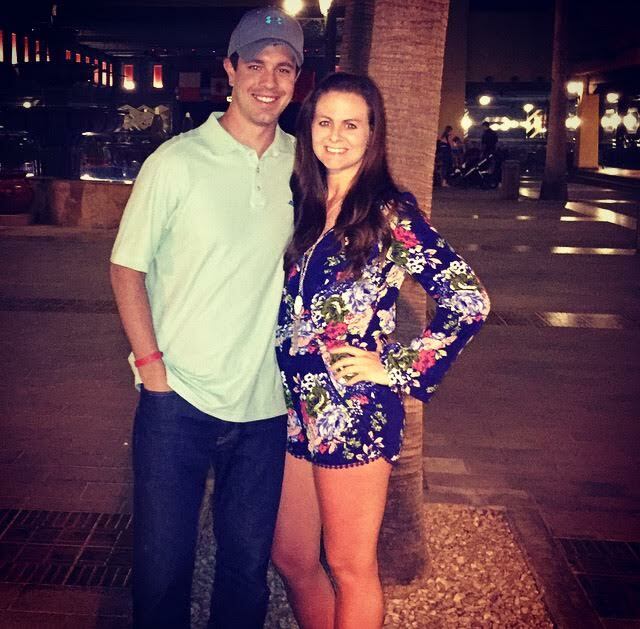 It looks like y'all had a great time, Cabo is definitely on my list of places to travel! Love! We booked a last minute trip at the Santa Fe last summer and loved it! It's not a 5-star resort, but I feel like we got so much more than we paid for! Such a fun hotel and beautiful views for the price! And for as reasonably priced as it was, I know we'll definitely be going back! LOVE it! So beautiful! 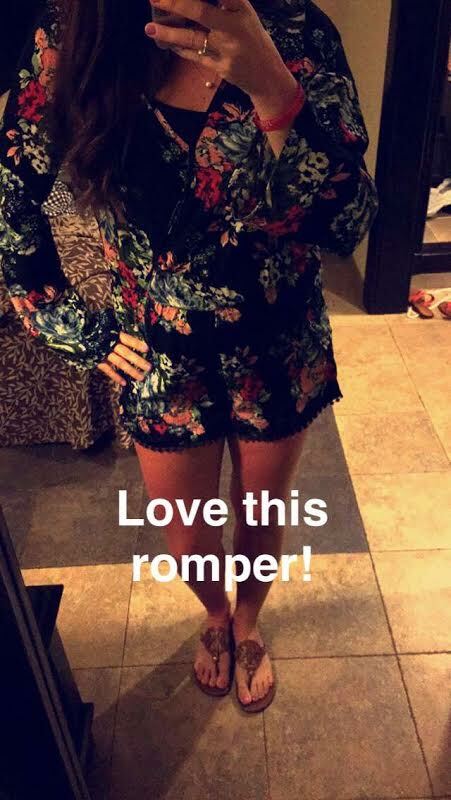 And where did you get that romper?? I'm going to Hawaii in April and I really want to find a couple of rompers. So gorgeous- loving all the bright colors in every.single.picture. 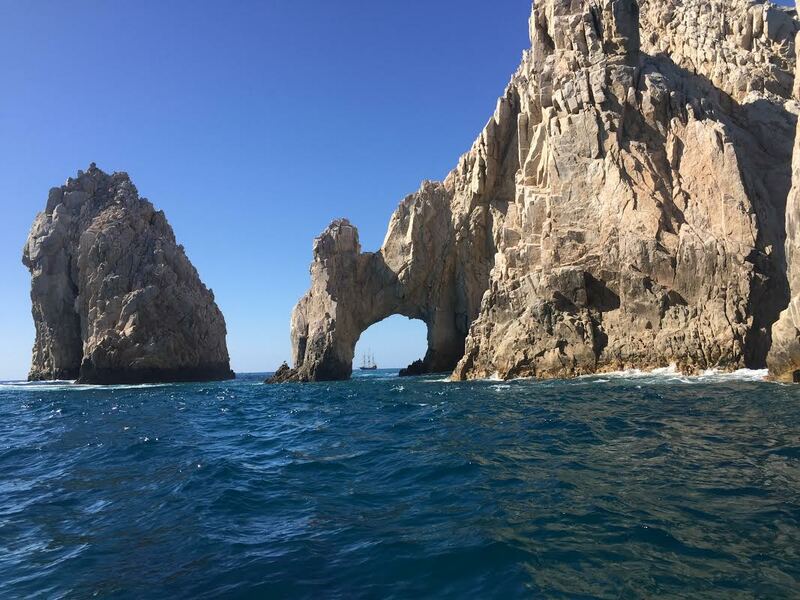 Cabo is on my list of places to visit one day! Love all your pictures! I am so glad you didn't have to worry about the mosquitoes! 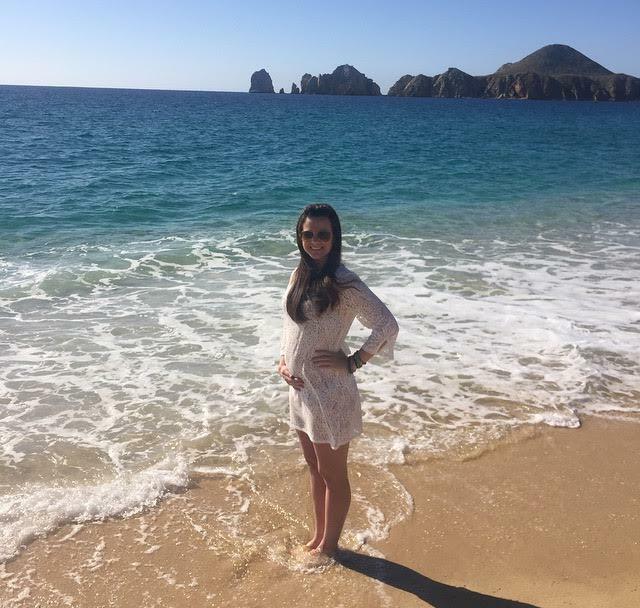 We just recently had to make a change in our travel plans to the Caribbean due to the virus :( Congrats, on Baby #2 being another little man!